Rolling hills galore! 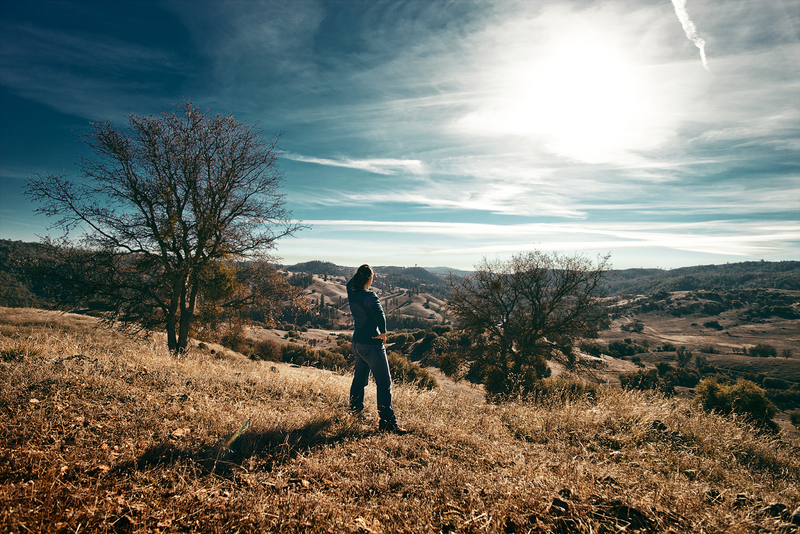 Cronan Ranch is situated north of Coloma, CA and if you’re one for gently sloping terrain or wide open views, don’t forget this stop. Having been twice last year, both during Fall and Winter, the park didn’t change much between seasons. A nice spot for viewing some Autumnal colors, the hike is never challenging, but it does drag on a bit. If you do find yourself here during the hot season, do bring lots of water and a good hat, as most of the trail is uncovered. I have seen a few mountain bikers on the trail, and that seems like the way to cover the park’s 12+ miles of pathway. Access is very easy with plenty of parking and a bathroom at the trailhead. It doesn’t seem like the park gets too busy, but hopefully it won’t get that way.